In recent years, China has emerged as a world leader in shipbuilding, shipowning and seafarer-supply. Why is it then that Chinese seafarers remain an invisible group as far as many of the nation’s legal protections are concerned? 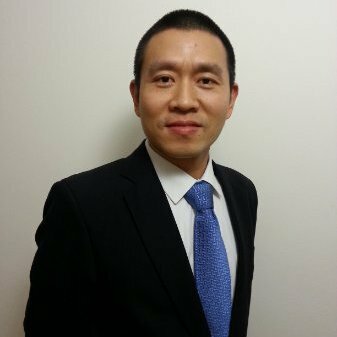 Dr Pengfei Zhang, academic, lawyer and former master mariner completed his PhD thesis on the barriers Chinese seafarers face in achieving the same level of remuneration and rights as inscribed in some international standards. 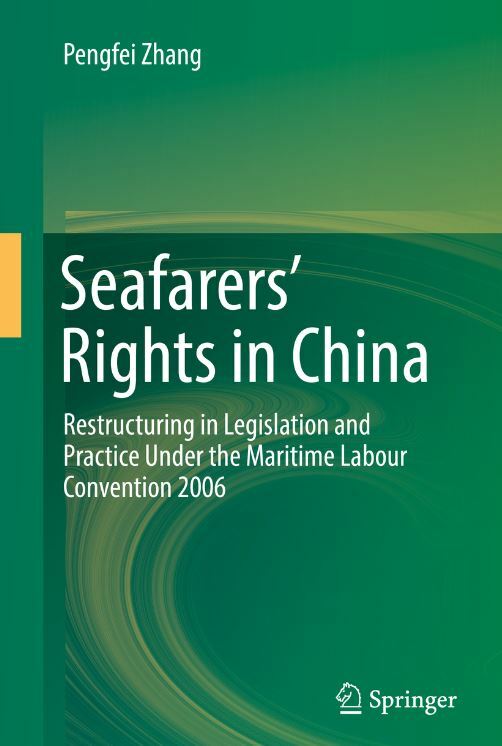 His subsequent book Seafarers’ Rights in China: Restructuring in Legislation and Practice under the MLC 2006 was published by Springer last year. HRAS spoke to Pengfei about how the latest development of seafarers’ rights in China under the Maritime Labour Convention 2006 (MLC). How did you first get started in seafarer rights? As a seafarer working on board international merchant ships for more than eight years, I had myself experienced unfair treatment quite often. This included low wages, long working hours, poor working and living conditions and exploitation by manning agencies. In 2009, I started to teach maritime courses in Shanghai Maritime University. Before that, I worked as a maritime lawyer and helped many Chinese seafarers involved in maritime labour disputes. This helped me to better understand the problems and challenges of seafarers. In 2012, when my career in China was growing well, I made a decision to do my PhD in London and started my academic research on seafarers’ rights. There were several reasons for that. The most important one was that I had seen the big picture, not just for China, but for the whole world. Shipping is very important, and seafarers are very important, but research on seafarers is relatively sparse, in particular in China. I have the right background, and I am the right person to do this, and I believe the most valuable and meaningful thing for me is to do research on this topic. I am sure that I can make unique contribution. What was the aim of your research? The overall objective of the research was to critically investigate the conditions of seafarers’ rights in China in legislation and practice; in particular, the restructuring process under the impact of the MLC. Since its entry into force in August 2013, significant changes have taken place in the international maritime industry, less so in China. The MLC entered into force in China in November 2016 after being ratified in 2015. Although seafarer protection in China has improved significantly in the lead-up to this, there are still many serious problems. Seafarers are working at sea, out of the sight of most people on land. As a result, although Chinese seafarers have played an increasingly important role in the international maritime industry, they tend to be an invisible group compared with most workers on land. The major improvements resulting from the adoption of the MLC relate to seafarers’ pre-employment registration, physical examinations, training and recruitment services. The major reason for this appears to be that the Chinese maritime community has attached great importance to seafarers’ training, qualification and competency. These aspects are closely associated with the export of seafarers, the development of the Chinese maritime industry and increased tax revenue. Employment contracts continue to be a problem. Why? In practice, a number of problems exist that prevent Chinese seafarers from accessing their legal employment entitlements. First of all, many Chinese seafarers have trouble accessing employment opportunities, in particular those with lower ranks, such as ratings and junior officers. According to the MLC, there should be a public recruitment system available for seafarers to ensure that they have access to an efficient and well-regulated recruitment service. China’s Employment Promotion Law also states that local governments shall establish public employment service institutions that provide labourers with free recruitment services. But, despite the rapid growth in the economy, China has not yet established an effective public employment system, and in the maritime labour market, many recruitment and placement businesses are controlled by private manning agencies or ship management companies. Many Chinese seafarers have to pay large sums of money for employment opportunities, and they become targets for exploitation. As in many other maritime nations, the nature of seafarers’ work may easily subject them to exploitation by unscrupulous shipowners, operators and manning agencies. For example, many seafarers do not have an employment contract. It is even the case that some ships maintain two separate sets of seafarer employment contracts, one real and one false, with the false one just for port state control (PSC) inspections. Fieldwork I conducted revealed that even some major state-owned Chinese shipping companies were practising this double book-keeping aimed at evading PSC inspection. Secondly, compared with seafarers in many countries, the wages of Chinese seafarers are still very low. Delayed or unpaid wages and substandard working and living conditions are still very common, in particular when the shipping market is poor. As there is no relevant regulation of seafarers’ annual leave in China, many Chinese seafarers tend to have a longer annual contract and cannot be repatriated in a timely manner even when they have completed their agreed terms. Furthermore, when labour disputes arise, on many occasions seafarers cannot access effective and efficient legal assistance and remedies. These may be common problems experienced by seafarers worldwide, but they have a bigger impact on Chinese seafarers. What special issues do Chinese seafarers face? Unlike shipping businesses which make a direct profit for society, seafarers appear to be less important than the ships on which they serve. China, despite its impressive economic performance in the last several decades, remains a developing country with relatively limited resources allocated for public service. While the Chinese government places overriding emphasis on economic development, the importance of seafarers has been placed second to fleet construction, which seems to attract greater attention. Chinese seafarers have special profile, and they are also facing some unique problems and challenges, such as the Chinese maritime industry, Chinese maritime labour market, Chinese seafarers’ special role as temporary migrant workers, in their families and society, their difficulty in rejoining family life and society and their social status changes across time. Furthermore, China has a very large population that includes workers from various trades and industries. Compared with builders, platelayers and miners, seafarers are only a small group, the total number of which is not sufficient to draw special attention. Do labour unions have any impact on Chinese seafarers’ working conditions? The CSCU is the national industrial union of Chinese seafarers and construction workers that is affiliated to the ACFTU. At an operational level, it has developed a clear strategy to support seafarers, in particular those employed in the foreign sector. In the past, the CSCU has made great effort in protecting and promoting seafarers rights and benefits, for example, in the adoption process of Seafarers’ Regulation, as explained in the Book. However, the protection provided by the CSCU is far from satisfactory and cannot meet the expectation of Chinese seafarers. On many occasions, it appears to be quite weak and passive and has very limited influence at the international stage. Therefore, it is not able to provide effective and efficient assistance and protection for Chinese seafarers when they encounter difficulties at foreign ports. In addition, with an increasing number of Chinese seafarers employed by foreign shipowners, the seafarers need the union to fight for their interests and benefits. However, dealing with international affairs requires special skills (including language skills) and many other competencies, which are lacking among many union officers. There is a serious lack of seafarers’ participation in the process of “collective consultation”. The obviously unequal bargaining power between individual seafarers and maritime employers makes it indisputable that collective bargaining is an essential element of seafarers’ rights. However, although a collective contract has been drafted and proposed by trade union, it is actually absent in practice. What changes would you like to see enacted to improve conditions for Chinese seafarers? The major challenges to future improvement come from government authorities, the practices of the maritime industry as well as from Chinese seafarers themselves. Since the adoption of MLC, China’s government has put considerable effort into complying with the Convention, and many changes have taken place. However, there are still significant gaps between Chinese seafarers’ existing rights and desired rights particularly regard to wages, working and living conditions, collective bargaining agreements and seafarers’ social security. Adoption of the China’s Seafarers Act is of key importance to improve Chinese seafarers’ rights, as well as to the full implementation of the MLC. The Act has been discussed and debated for two decades, but not much progress has been made so far. The government is therefore advised to take more concrete and efficient measures to speed up the legislation process. Furthermore, the government departments specialising in maritime affairs need to take on more responsibility with regard to seafarers’ rights, in particular flag state inspections. A more independent, pragmatic and effective seafarers’ union should be established specially for Chinese seafarers. It is crucial to promote best practice in the maritime industry by implementing corporate social responsibility (CSR) and maintaining a sustainable maritime labour force. The implementation of CSR can attract high-quality talent, enhance a company’s image and eventually improve its marketing performance. A skilled, loyal and well-motivated seafarer can reduce operating costs by increasing efficiency and safety and by protecting the employer’s investment in vessels and equipment. In contrast, stress, fatigue and complaints can lead to reduced performance. This is usually the reason why incidents that cause environmental damage, loss of life and loss of property occur. Can Chinese seafarers take action to defend and expand their rights? According to Chinese law Chinese workers do have rights to defend and expand their rights. However, due to the special characteristics of seafaring labour, the same as in any other countries, seafarers in China may find it is difficult to realize their rights on many occasions. For example, seafarers in China are entitled to participate in the process of Chinese labour law-making. However, in practice, it is very difficult for them to deliver their views and be involved in decision-making. This is especially because of the lack of a strong and effective seafarers’ trade union in China. The issue is particularly important to seafarers, because their unique employment conditions are not familiar to most law-makers. Compared with the employment conditions of construction workers and miners, which have been addressed to some extent in several major labour laws, seafarers’ in-employment conditions have never attracted much concern in Chinese labour law-making. Chinese seafarers should be more pro-active, to the extent that this is possible in domestic Chinese affairs, and participate more effectively and effectively in the legislative process in China. Under the impact of the MLC, China has started to promote tripartite negotiation platforms, and seafarers are encouraged to take part in policy-making and collective bargaining activities. There are many opportunities for Chinese seafarers to become involved and to deliver their message more clearly and loudly. What reaction has there been to the book? The book has provoked significant reaction in many sectors, including academic institutions, shipowners, ship management sectors, manning agencies and in particular seafarers. After publishing, I posted information about the book through Chinese social media and the blog has been forwarded more than 10,000 times. I have received letters and messages asking about the book, and some Chinese seafarers continue to share with me about their experiences. I am doing a research for the Seafarers’ Trust on seafarers’ port welfare in China; not just Chinese seafarers but seafarers of any nationality who visit China’ ports. Meanwhile, we are editing another book: The Chinese Seafarers: understanding the largest maritime workforce in the world which will be published by Springer in the second half of 2017. Thank-you Pengfei. HRAS looks forward to hearing about your progress in the future. Important Note. The subject matter and content of all ‘HRAS Interviews’ represents the views of the interviewee only; they do not necessarily represent the views, opinions or charitable objectives of Human Rights at Sea. 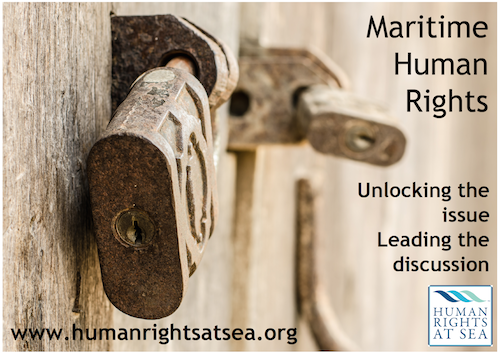 In the interests of continuing objective, free, fair and open debate on all topics which have a bearing upon, or closely relate to the subject of human rights in the maritime environment, Human Rights at Sea reviews all submissions to the HRAS Interview site and retains sole discretion whether or not to publish the contents. Human Rights at Sea is committed to transparent and free dialogue independent of all political, religious or other perspectives held institutionally, corporately or individually. For further information: enquiries@humanrightsatsea.org.